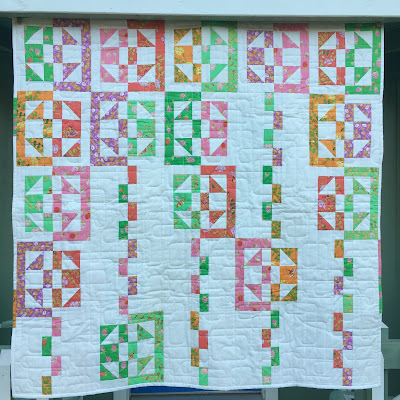 The story of this quilt began back in 2013 when Amy from Diary of a Quilter invited me to design a block for a series she was running called the Virtual Quilting Bee (the series is available here). There were 16 designers and we each had to come up with a block, and then make it in both solids and prints. The block I designed is called Chiral Music (named by our son, Aaron), a rather quirky name. I had texted him a picture of the block and said I felt it needed a better name than "In and Out" or "Hello-Goodbye," and he immediately texted back "chiral." I wondered if he had meant "choral" because I had never heard of the term "chiral." He said that chiral refers to a molecule that appears to be a mirror image but actually is not exactly superimposable (he knows a lot of scientific information). I liked the name a lot, and added "music" as kind of a play on words since I had originally thought he meant "choral." I really liked the block. It is basically just a 9-patch, with a frame, and finishes at 8"x8". I had a fat quarter stack of Heather Ross's line, Briar Rose, so I made another Chiral Music block. Then I decided to play around with it, basically turning the four sets of half-square triangles in a different direction, and came up with this block. At about the same time, I had a stack of Cherrywood hand-dyed fabrics in beautiful blues and greens. 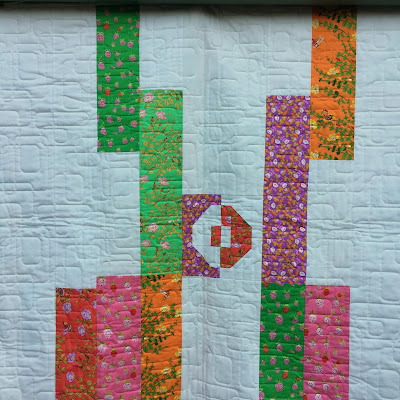 I made a quilt to submit to Modern Patchwork for possible publication and it looked like this. I really liked the graphic element of the chain seeming to connect the blocks together, and named it Chain Link. After all these years, I have finally completed the version done with the Briar Rose fabrics. I thought of beads on a string, and named it Briar Rosary. The one Chiral Music block was added to the back. I love the way the quilt turned out, and it was beautifully quilted by Darby. 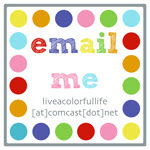 Block Size: 8" x 8"
I'm linking up to Crazy Mom Quilts, TGIFF, Fort Worth Fabric Studio and Confessions of a Fabric Addict. Oh I love this! I really enjoy hearing the progression, and learning "chiral"...very useful! 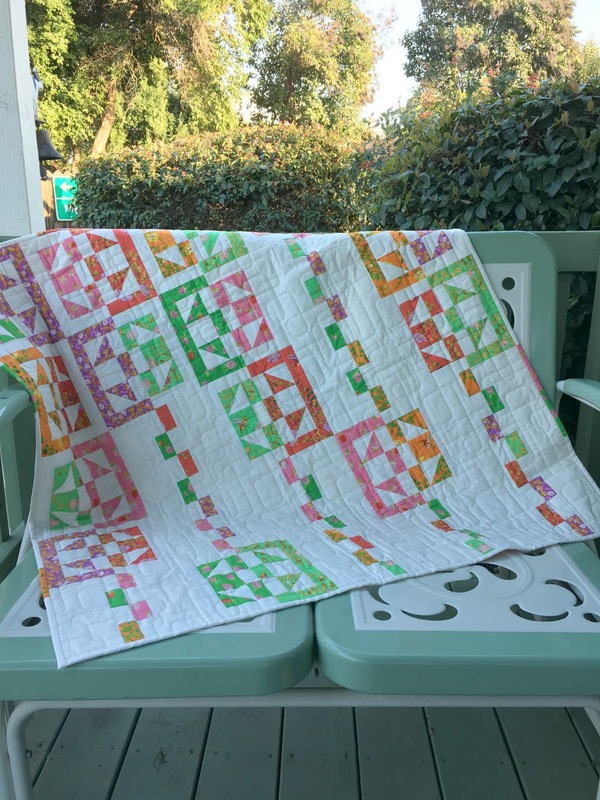 Two very beautiful quilts! It's a great quilt, all the more so for such an interesting etymology (if that can be applied to quilts). And now I need to figure out how to fit "chiral" into a conversation today. I live with a scientist, so maybe that will be easier than it sounds. Lovely quilt. I really like the original block! Can't wait to try it! Stunning!! Such a great story behind it and I love the blocks with those chains. 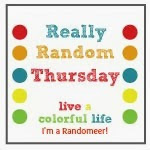 Fab name too! What a cool block--and a really interesting layout. Love it! Lovely story! 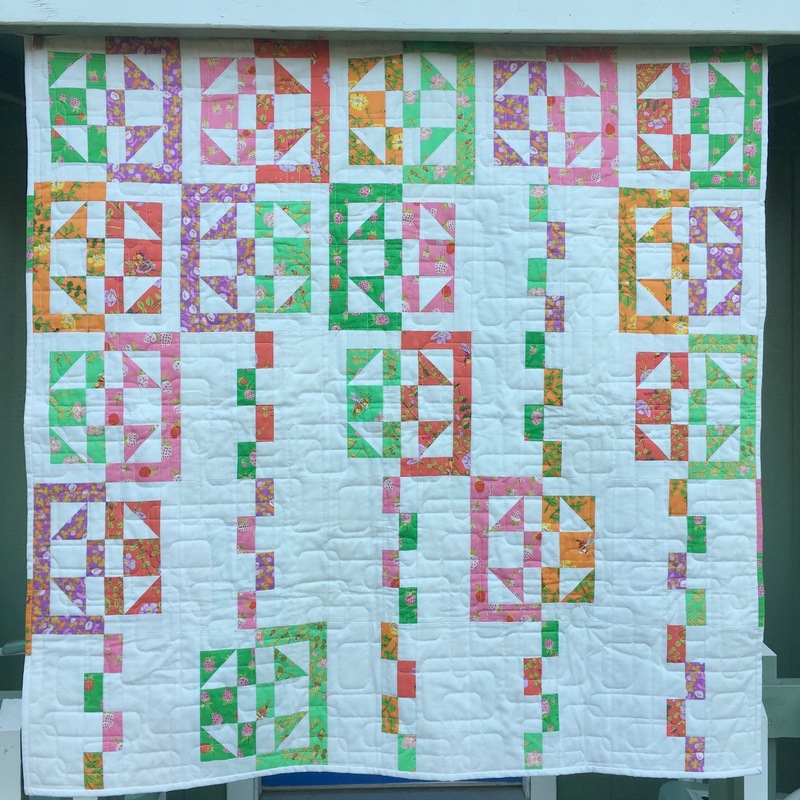 Great to hear how this quilt evolved! Cool! So interesting to see the change in this block. Well done! 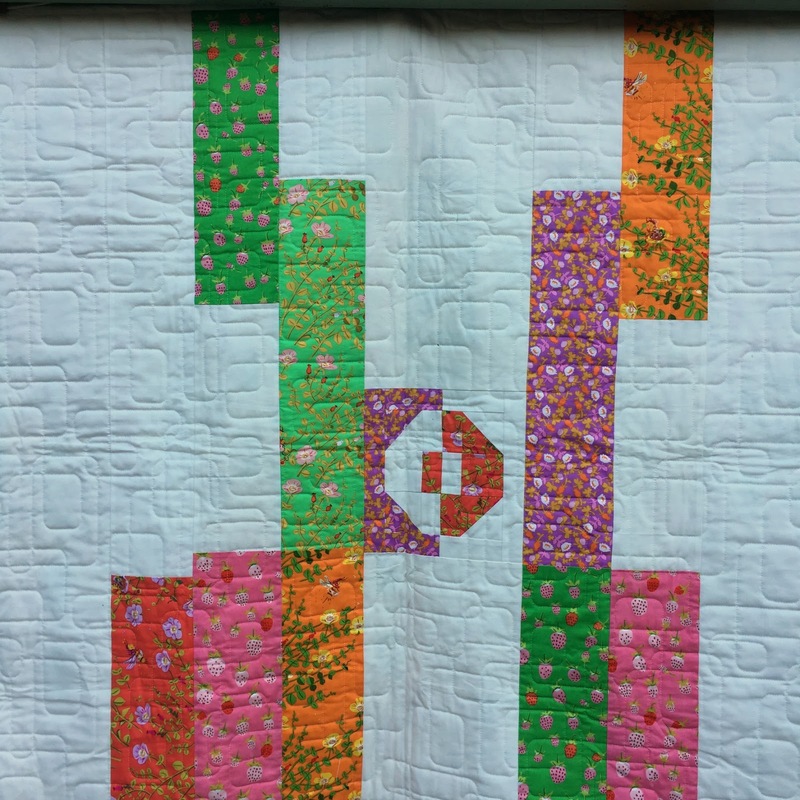 Great history of two inter-linked quilts. I love how different fabrics can change up a quilt's look...well done!!! Love how you played with the design. Small changes can have such a big impact on the overall look. Nicely done.